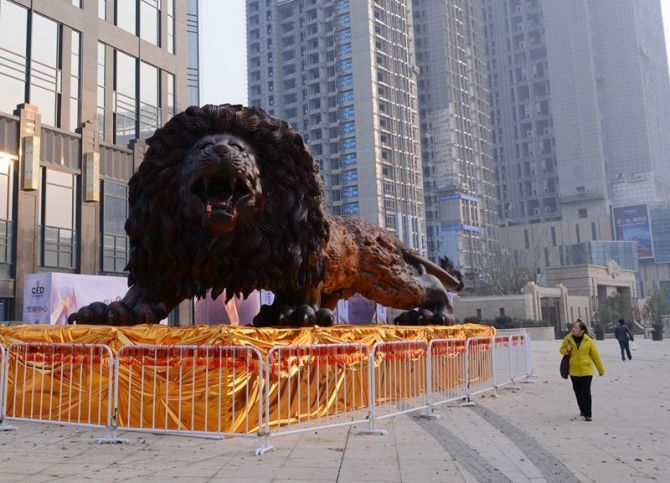 Measuring 14.5 meters in length, 5 meters in height and 4 meters in width, the lion sculpture has became city’s new landmark and is attracting lots of crowd. 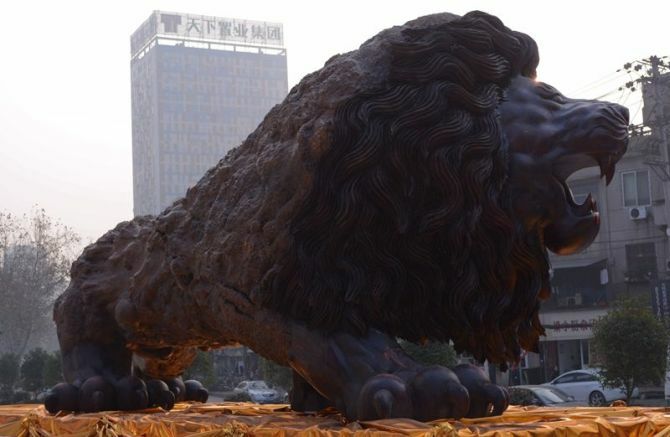 Dengding Rui Yao worked with a team of 20 sculptors to complete the piece. 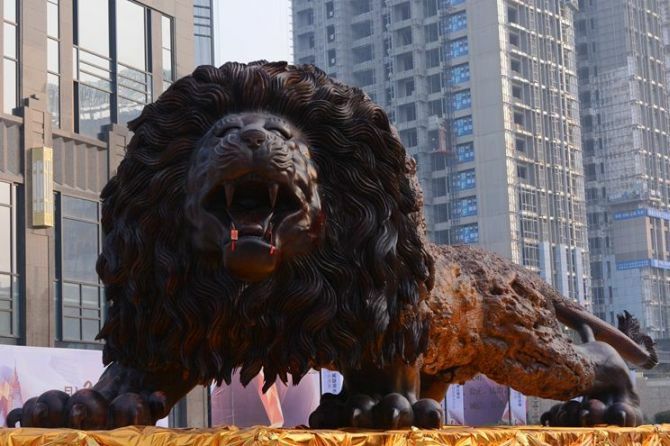 It was built over a period of three years in Myanmar and was transported more than 5,000 kilometers from there to China last month. 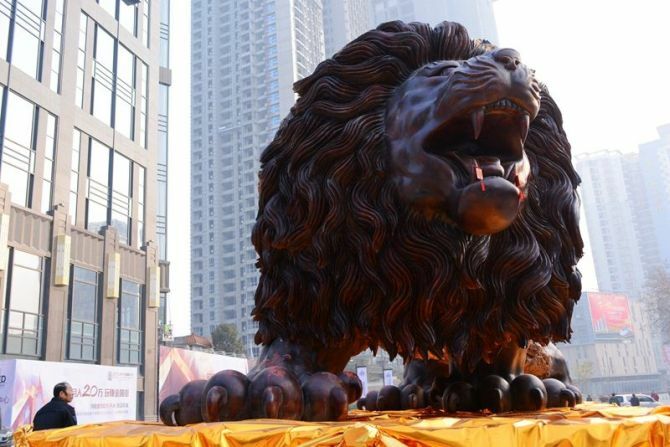 One can imagine how difficult it would have to been to transport such a massive piece safely over such a long journey. 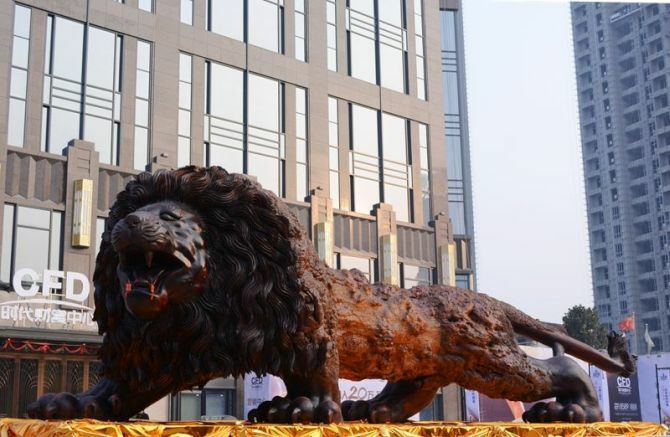 The midsection of the sculpture exhibits the original texture of the redwood tree while the front and the rear section are smoothened up to offer a polished look. 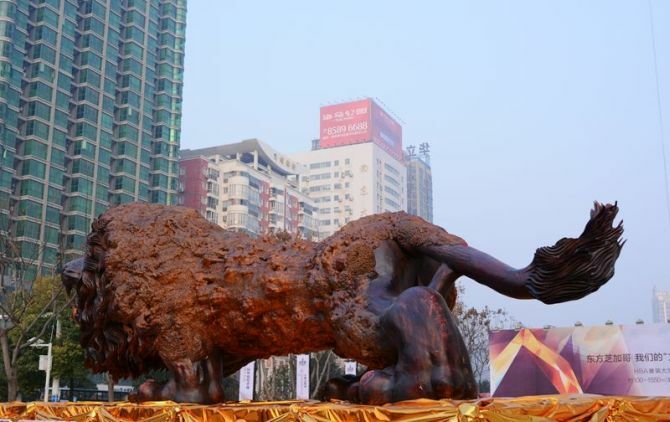 This masterpiece in Hubei Province, China is now also the Guinness World Record holder for the largest redwood sculpture.